A HEMPFEST GUT CHECK What about marijuana and pregnancy? 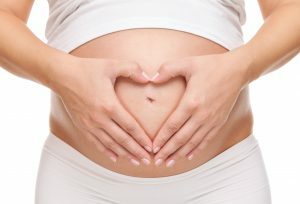 So, what’s the big deal about pregnancy? If we’re going to talk about pregnancy, there’s a fact we can’t ignore. A whole lot of babies get their start when a guy and/or a woman feels inspired while high. OK, time to get serious. We know enough about the dangers of drinking alcohol during pregnancy to understand it’s not a good idea. Serious problems caused by alcohol during fetal development can lead to mental and physical abnormalities in the newborn. But is the same true about getting high? Just as alcohol crosses the placental barrier, so does THC. But does THC exposure damage the fetus? The answer is: we don’t know enough yet to be certain about all of the possible risks. One thing that scientists do believe, however, is that regular marijuana use during pregnancy leads to babies born with reduced weight. Scientists are still wondering about some other possible risks to the baby, including behavioral and developmental delays during the baby’s first few months. During breast feeding, marijuana consumed by the mother is also consumed by the baby through mother’s milk and may be harmful. There’s another possibility, and this has to do with the parents. For some people, getting high might interfere with their ability to reproduce. It’s a dilemma. Obviously, men and women who get high are not going to wait to have babies until all of the answers to these questions are in. Even with so many unanswered questions, the risk is too great. Don’t get high if you’re pregnant. Don’t get high during the breastfeeding period. If you and your partner are unsuccessful in trying to get pregnant and you’re getting high, pot might be getting in the way. Check it out with your doctor.